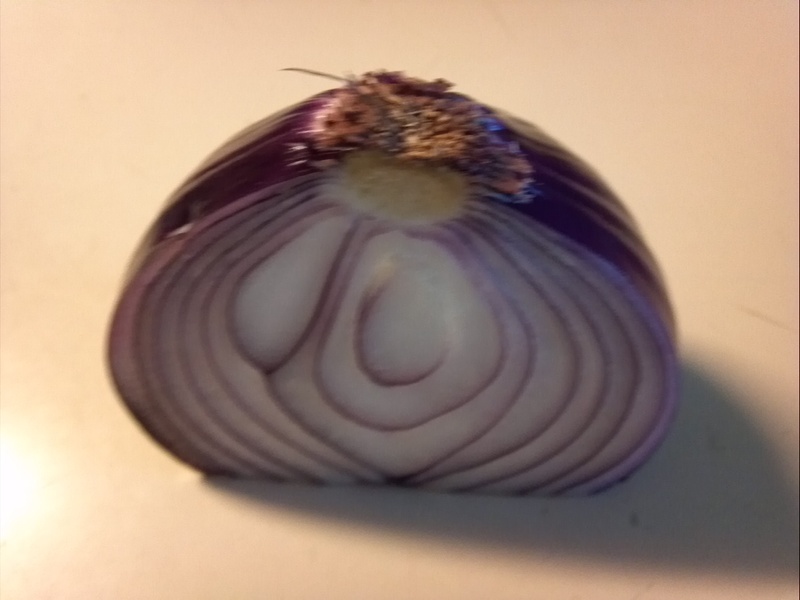 My wife had trouble on how to dice an onion when we first met, and here is a trick I taught her to make it easier for her to work with onions. The trick is to leave the root connected. 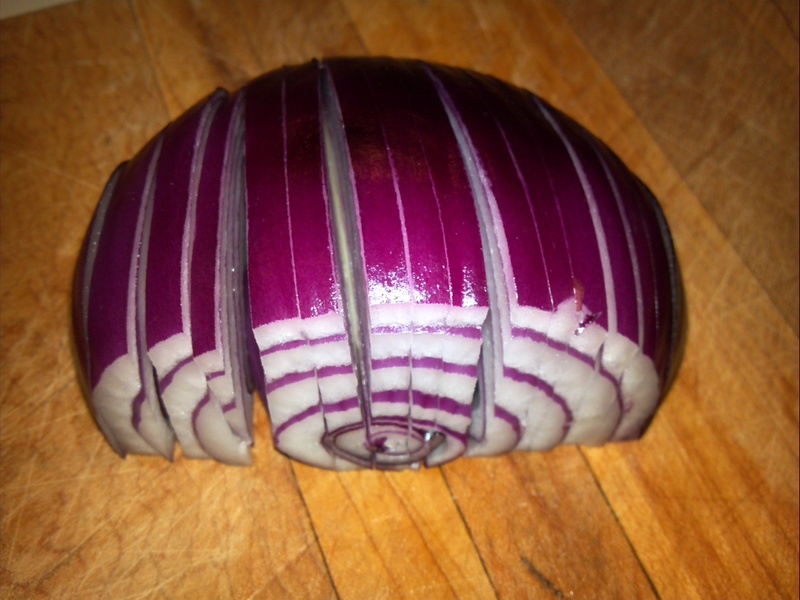 First cut the onion in half, do not cut off the root. Peel off the outer skin. Lay the onion on the flat side. Cut sections perpendicular to the root. Be sure to NOT cut through the root. Now cut perpendicular to your previous cuts. 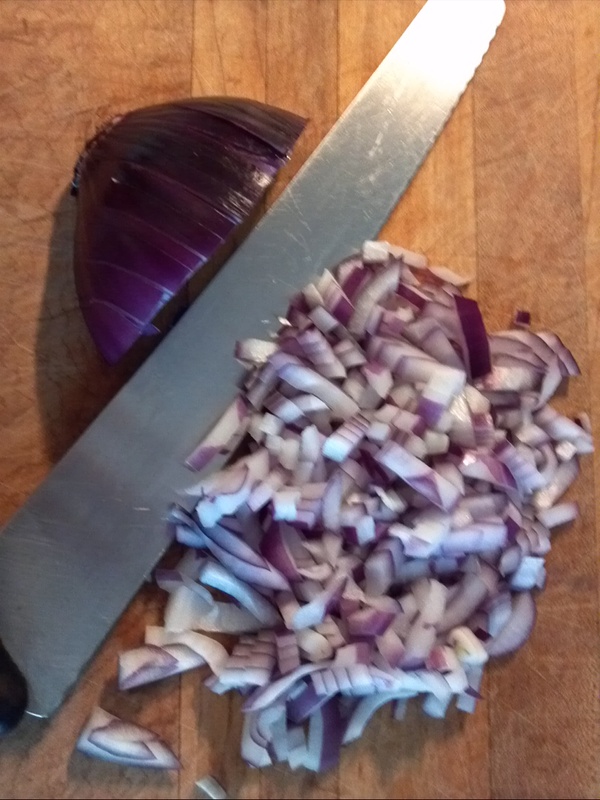 You now have diced onions. 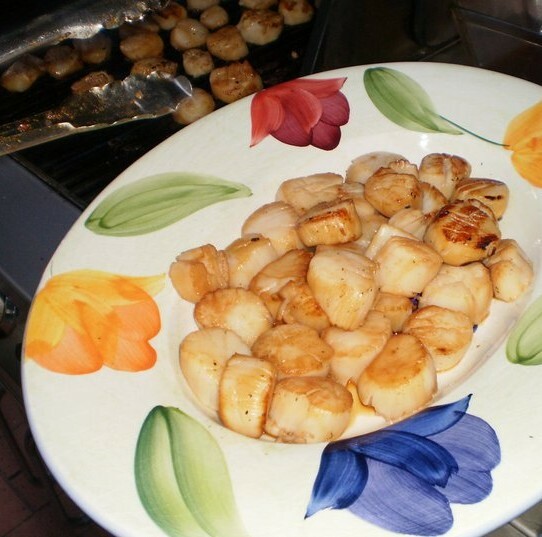 This entry was posted in Chef's Utensils, Veges and tagged dice, how-to, onion. Bookmark the permalink.